The US president told Wednesday that he had made a decision on the international nuclear deal with Iran, however, he refused to announce it. WASHINGTON (Sputnik) — President Donald Trump said on Wednesday that he has made up his mind on whether to scrap the Iran nuclear agreement, but declined to say what his decision was. "It's not a clear signal that he plans to withdraw. What it is a clear signal that he's not happy with the deal," Haley told CBS News in an interview. Haley earlier on Wednesday told ABC's ‘Good Morning America’ that Trump firmly believes Iran was violating the accord by carrying out ballistic missile testing and providing support to terrorists. "What he [Trump] is saying is everybody has to stop tip-toeing around Iran… and acknowledge these harmful things they're doing across the globe and call them out for it," Haley said. 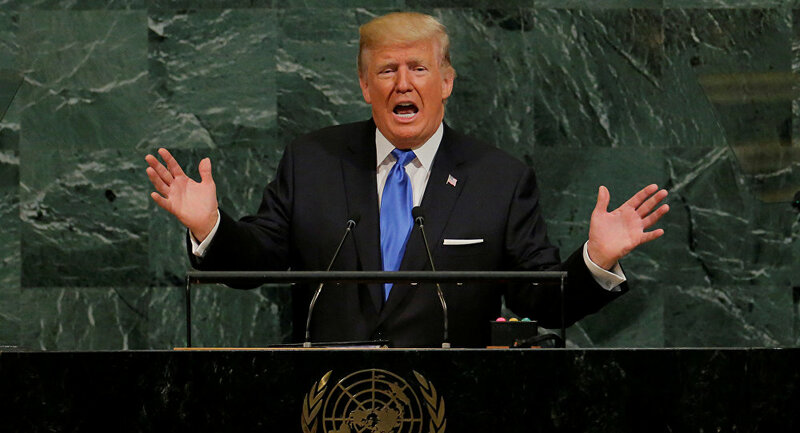 In his first address to the UN General Assembly on Tuesday, Trump called the nuclear accord, known as the Joint Comprehensive Plan of Action, an "embarrassment" and one of the worst deals the United States had ever entered.